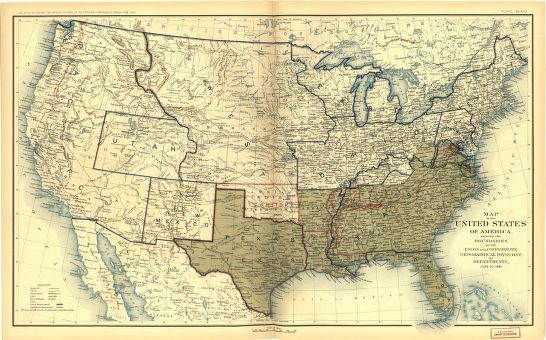 While the main military action is now taking place in Virginia, Tennessee and Georgia (none favoring the Confederacy), small skirmishes take place elsewhere. One such engagement happens this day at the Concord Baptist Church in Yazoo County, Mississippi. In the brief encounter, Confederate forces from Arkansas and the Union’s Second Wisconsin Calvary clash, with the Federals forced to retreat. The Union presence in Mississippi, however, is not affected by this minor engagement. Meanwhile, today’s edition of the Virginia Baptist Religious Herald publishes a letter from a North Carolina minister who recently attended a Baptist associational meeting that was broken up by the actions of local Unionists. The churches of the association are also noted as having taken a hard stance against alcohol, a position that is yet unusual among Baptists of the South. I have just returned from the United Baptist Association, N.C. Was much gratified with the deliberations of that body–especially the noble stand it takes upon the question of Missions, Colportage and Temperance. There is an article in their constitution, which says, “This Association shall withdraw from any church which holds members who distill, vend or use ardent spirits as a beverage.” The Association is living up to that article strictly. At the close of the Association on Saturday, about night, it was announced that the notorious Kirk’s raiders were destroying property of citizens in the neighborhood, which caused a good deal of excitement. The guards, which consist of reserves, soon rallied, and the raiders took to the mountains and escaped, but to pay a second visit, for on Sabbath morning, during the second sermon, a gentlemen dashed up and announced to the congregation that the raiders were again depredating on the people near by, destroying household effects, collecting guns, &c. This caused increased excitement, which continued to grow to such an extent that it seemed best to close the meeting, to the regret of many, as the meeting was growing in interest. The guards, with a number of citizens, pursued the vandals, but to little effect, as they got into the mountains. I learn, however, that an old grey-bearded Baptist minister, with his trusty rifle, killed one of the leaders of the gang. The mountainous regions of N.C. are much infested with tories, but the mass of good citizens are devoted to the South and its cause. The United Association, as a body, takes bold ground for Southern rights, notwithstanding they are surrounded by tories. Southern Unionists in the mountains of North Carolina (an area largely devoid of slave owners) have been vocal and active throughout the war. Now, despite the loyalty to “Southern rights” voiced by some local Baptists, North Carolina dissenters are more confident than ever that they, and the United States, will prevail over the Confederacy.